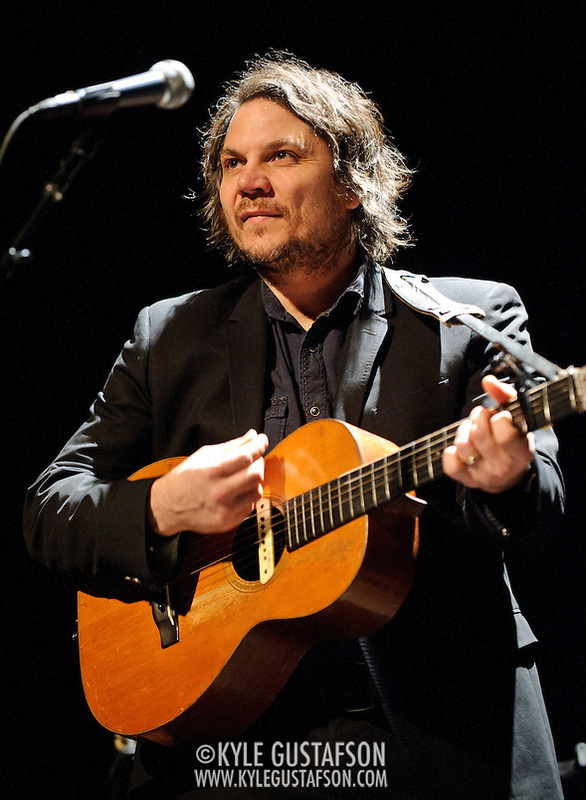 Jeff Tweedy comes through D.C. every few months like clockwork. 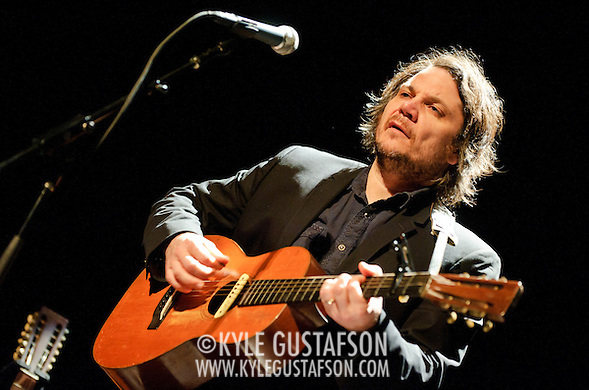 I shot Wilco at Strathmore back in March and he’s been back in town since then, most recently with Mavis Staples at the Stewart / Colbert Rally To Restore Sanity And/Or Fear. 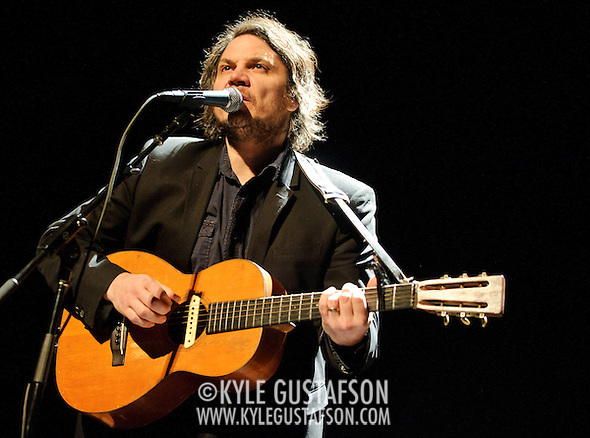 For this gig, it was just Tweedy and an acoustic guitar, playing songs from all throughout his career. Lights were pretty good and didn’t change during the first three. 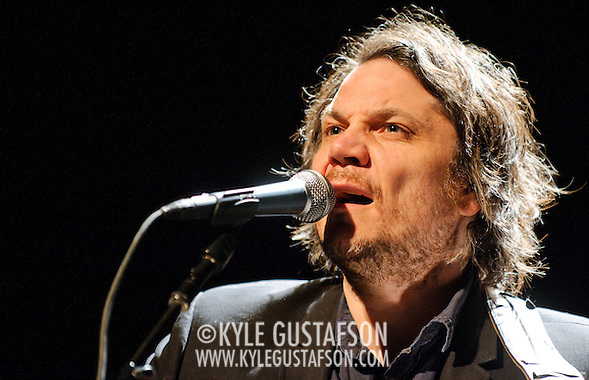 Tweedy was lit by a spotlight and not much else, but that provided all the light I needed. 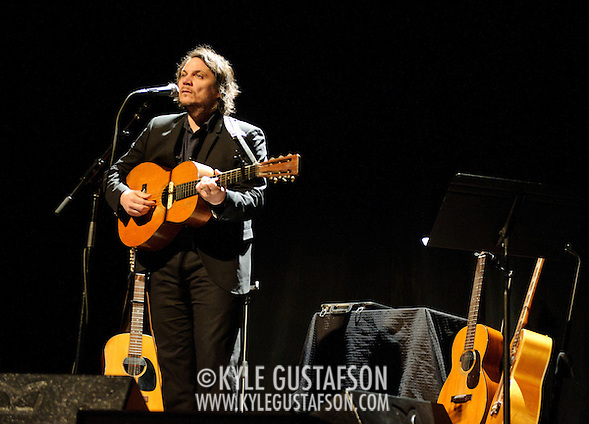 If you’re interested in a proper review, be sure to read Chris Klimek’s recap over on washingtonpost.com.